Equine MRI is a unique, comprehensive guide to MRI in the horse. 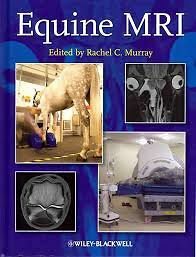 Edited by Rachel Murray, a leading authority and researcher in the field with over ten years of equine clinical MRI experience, the book also includes contributions from worldwide experts in the subject. MRI is a rapidly expanding area in veterinary medicine that confers detailed, three-dimensional information on both bone and soft tissue. Expanding clinical knowledge, improvements in technology, and practical application of MRI to the standing and recumbent horse means this useful imaging modality has become an integral and essential part of the diagnostic evaluation in lameness and is a realistic option for investigation of ophthalmological, neurological and cranial pathology. Equine MRI enables readers to understand the best ways to achieve good quality images, and provides a detailed explanation of the problems that may occur. With close to 950 normal and abnormal images, this book offers considerable detail and examples of both common and uncommon problems, making it a great reference for equine veterinarians, veterinary students, specialists in equine surgery, and specialists in veterinary imaging.